“Provocative….Insightful….Stimulating….See the alternative view of an insider! 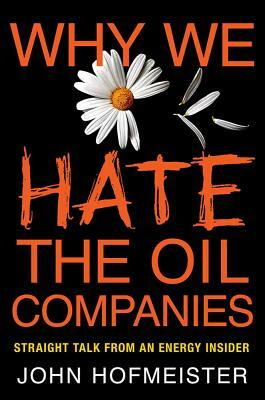 Share his outrage.” —Ram Charan, bestselling co-author of Execution and author of What the CEO Wants You to Know"
“[Hofmeister] takes a broad view of what we need to do to craft a successful energy strategy for our nation and has first hand knowledge of why our past policies have failed to prepare us for 21st Century challenges." --Robert S. Walker, Former Chairman of the Science Committee of the U.S. House of Representatives, Chairman of the Hydrogen and Fuel Cell Technical Advisory Committee of the U.S. Department of Energy"Entertaining and irreverent, skewering nicely all participants in energy supplies, demand and policies and is founded on a deep understanding of the economics, technologies and politics that drive the system. Fulfills a very important role in educating a broad readership in the critical issues of the national energy system and proposing pragmatic solutions with flair and candor. For the sake of the nation, I very much hope it attracts the high level of attention that it deserves.” —Christopher E. Ross, Vice President, CRA Charles River Associates and co-author of "Terra Incognita - A Navigation Aid for Energy Leaders"